Fights happen in relationships. We get set off; we blame our spouses; we nitpick or we disappoint. Whatever the reason, conflict is natural in the best partnerships. We cool off, say we’re sorry and move on. Except for when we don’t. The reality is that many of us are terrible at apologizing. We make excuses or sometimes we don’t apologize at all. And this kind of behavior could be harming our partnerships. We’re not alone in finding it difficult to apologize. “Humans are wired for defensiveness, and none of us is immune from sliding into vague, slippery language that obscures exactly what it is that we are sorry for,” psychologist Harriet Lerner, author of Why Won’t You Apologize? : Healing Big Betrayals and Everyday Hurts, tells me. But an effective apology is good for a relationship. According to Lerner, it “makes the hurt party feel safe and soothed in the relationship and restores connection and trust.” A bad apology does the opposite. 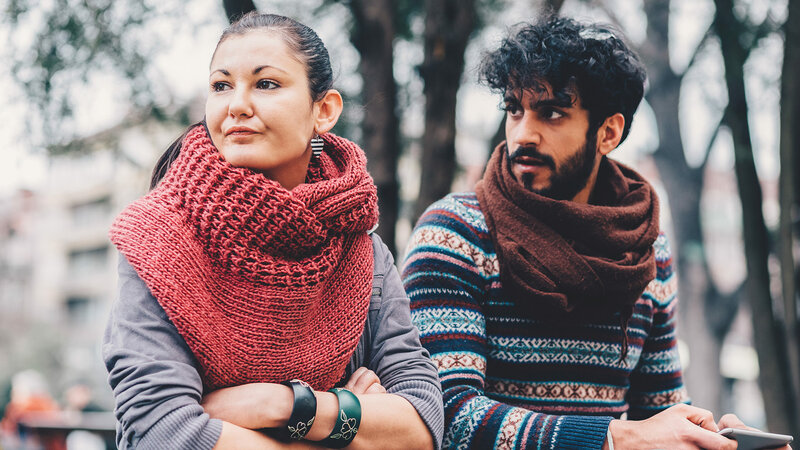 Are bad apologies hurting your relationship? Here are some examples of the most damaging kinds. Lerner calls this over-apologizing and says that beyond being irritating, it also forces the person to whom you’re apologizing to stop and reassure you — taking the focus away from their hurt and your apology and effectively making it about your feelings instead. Lerner says apologies like this can be worse than no apology at all. “It’s a confusing communication,” she says. You’re saying sorry, but you’re also forcing the other person to disagree or comfort you, seemingly negating their original hurt. What does a good apology look like? According to Lerner, it “takes clear and direct responsibility for what we have said or done (or not said or done) without criticizing the other person or bringing up their crime sheet.” It doesn’t have any ifs or buts. It includes the words, “I’m sorry,” and offers to change in the future and not repeat the same mistake.